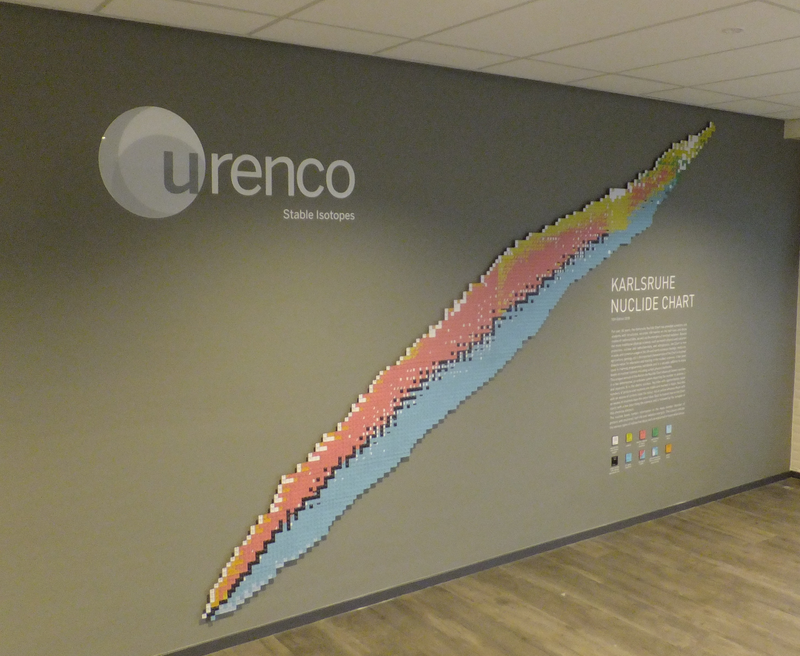 Nucleonica has arranged the installation of a “contour” version of the Karlsruhe Nuclide Chart at the URENCO premises in Almelo, Netherlands. The Chart was produced using a 4mm Dibond aluminium plate “cut-out” to fit in a space of height 2m and width 5m and assembled a small distance from the wall. The text is cut from adhesive foil and glued directly on the wall. Karlsruhe Nuclide Chart (Contour Chart) at the URENCO premises in the Netherlands, Courtesy URENCO. For further information, contact info@nucleonica.com.